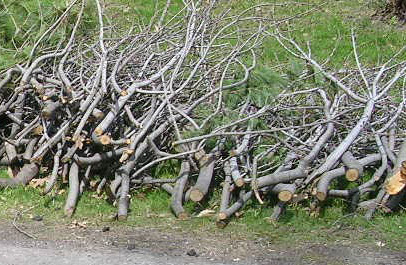 The Town of Kirkland offers free door-to-door branch pick-up & on-site chipping service at specific times twice a year, or on demand at any time. If the scheduled periods for our twice a year weekly rounds are not convenient for you, the service is also available at any time upon request, also free of charge.� You can either submit your request through the�Requests on Line�system or by calling 514 630-2727 during regular business hours. The pile of branches to be picked up must not exceed the dimensions allowed, namely, 2.5m long x 2 m deep x 1.5 m high. If a private contractor is hired to carry out tree works on your property, he is responsible for disposing of the cut-off branches and should therefore include such removal costs in his price quote. Any changes to the schedules or implementation of the various residual waste collections carried out on our territory will be published in the news section of the Town's website as well as in the Info-Kirkland newsletter. Please contact Public Works to have tree stumps picked up. Please note that a Regulation issued by the Canadian Food Inspection Agency (CFIA) prohibiting the movement off the island of Montreal of ash tree products and firewood of all tree species, is currently in force on our territory. Consequently, it is no longer possible to dispose of branches in the weekly pick-ups for household garbage and organic waste.